Do you want the fastest CCTV installation Brisbane wide but you still pay the keenest price in the city? Then speak to Qld Diamond Security soon and have all your wishes answered. We are a full-on business and home security company. We do security extremely well, in fact that’s all we do. We deliver fast by courier anywhere in Brisbane and surrounding areas. No wonder we are the CCTV suppliers Brisbane families choose first for their protection. However, we don’t just do home security cameras Brisbane wide. 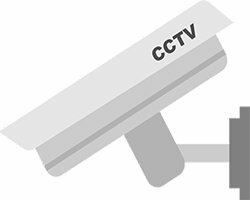 We install business CCTV camera systems insurers recognise. All Qld Diamond Security camera systems come with manufacturer warranties and are backed by our full support. Buy from us, and you benefit from vast experience of installing commercial-grade alarms and CCTV all over the city. You couldn’t possibly get the same level of advice for a hardware store or security shop. But that’s not all. Every CCTV installation Brisbane business people and homeowners order from us was selected by security specialists who know more than most about the growing crime wave sweeping though our city. Call 1800 553 788 to learn more about how we can help you upgrade your security. If you would like us to call you back then please click this link to send an email. Do you want the fastest CCTV installation Brisbane wide but you still pay the keenest price in the city? Then speak to Qld Diamond Security soon and have all your wishes answered.